I am off to the Outer Banks for a week with the family!! 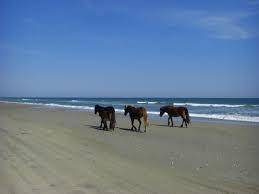 We are renting a home in Carova- the 4 X 4 area of OBX where the horses roam free. The kids’ school lets out early and this is actually the only week we are able to go for the WHOLE summer! Between classes, work, business trips, and preseason, we are all booked up. Before I had the chance to download King’s newest- Finders Keepers, I ran some errands. As I walked into the library- BAM- there it was just waiting for me. This should make that 8 hour drive go by nicely. So JEALOUS! I’ll be heading to Hatteras in early July and can hardly wait. Have a great time! Have fun, I love the Outer Banks! !